British Cycling has entered a new era by crowning its first national eRacing champions. 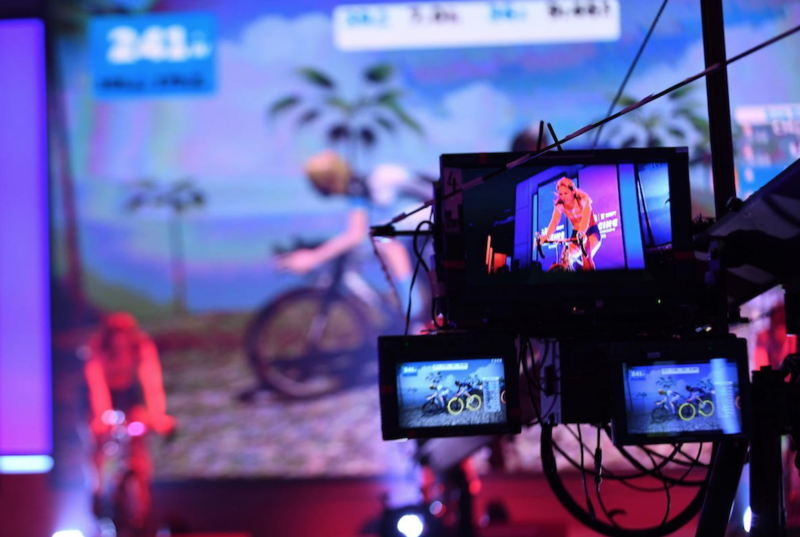 The British Cycling Zwift eRacing Championships took place at the BT Sport Studios, next door to Queen Elizabeth Olympic Park, with Rosamund Bradbury and Cameron Jeffers emerging as the inaugural women's and men's winners. The championship was delivered by the national governing body of cycling, British Cycling, in partnership with virtual training platform Zwift. The multi-event finals included an elimination race, the HSBC UK points race and Wahoo scratch race, in front of a live crowd. Jeffers added: “It’s all a little bit surreal really. I finished twelfth in the qualifiers, then due to two guys dropping out of the finals I managed to promote myself to tenth and got a position in today’s finals. I came to this race knowing that Madison Genesis had four guys in the line-up and in terms of out and out power numbers they were probably the strongest guys here. “I knew I didn’t necessarily have the numbers, but the advantage that I could get over the four guys is course knowledge and knowing where to put the power down and where to attack. I’ve done a lot of course research, a lot of riding and racing on Zwift, and researching the different power ups. So, all of that put together, I managed to pull off the win." The finals featured the best 10 British men and women, who were whittled down from 400 riders after an online qualifying event late in February. The racing was live-streamed in its entirety on the British Cycling website, with the final race of the day, the Wahoo Scratch Race, broadcast live at primetime on BT Sport 1.